Is “Patna Pirates” your favorite team in Pro Kabaddi League (PKL) and you want to know Patna Pirates players name and their role and when is Patna Pirates matches with other teams? 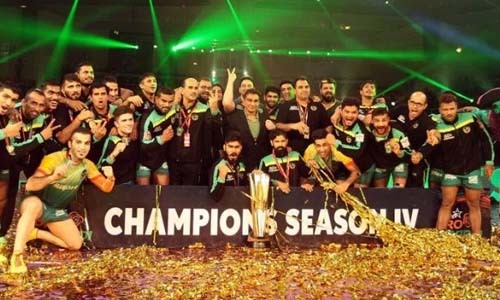 Then here on this page you could find answers of all questions because here on this page I am going to share “Patna Pirates Team Players Name” & “Patna Pirates matches with other teams” however if you want to see complete match schedule details it could be found here: “Pro Kabaddi League Season 3 Match Schedule Details”. If you want to see any other teams match schedule then please click on particular team name as given in below mentioned table. What do you think? Will Patna Pirates win this season? Who will be the key player of the team share your view in below mentioned box. If you want to know about previous years winners name then click on “Pro Kabaddi League Winner List of All Season”.